Over the Easter weekend I went to visit a few vintage/antique stores. 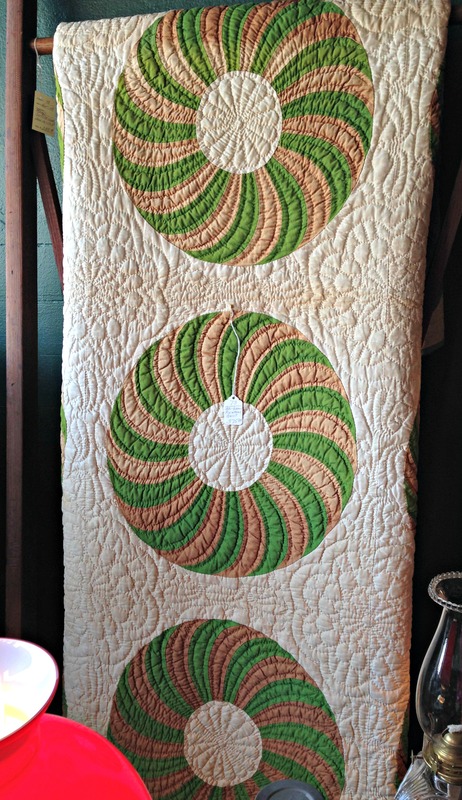 Usually I don’t see too many quilts that really catch my eye, but check out this fabulous pieced circle quilt. 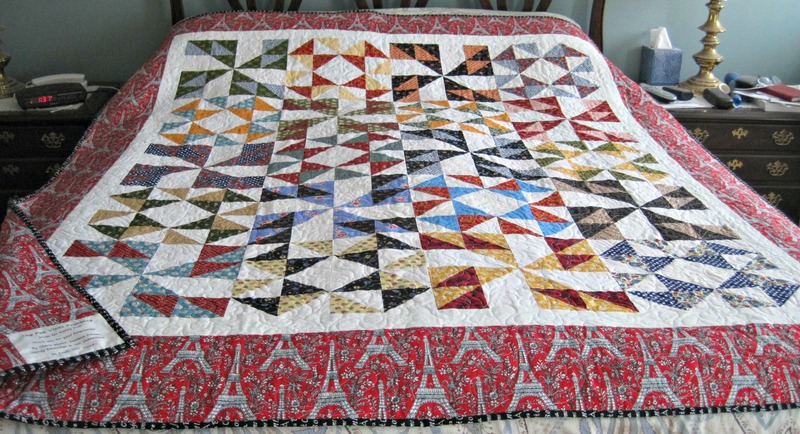 It is just wonderful and probably a good deal at $375 if the rest of the quilt is in as good of shape as what’s showing. As you can see it was hanging on a ladder behind other items so I didn’t get to look at it close up but the quilting shows so nicely in this picture. 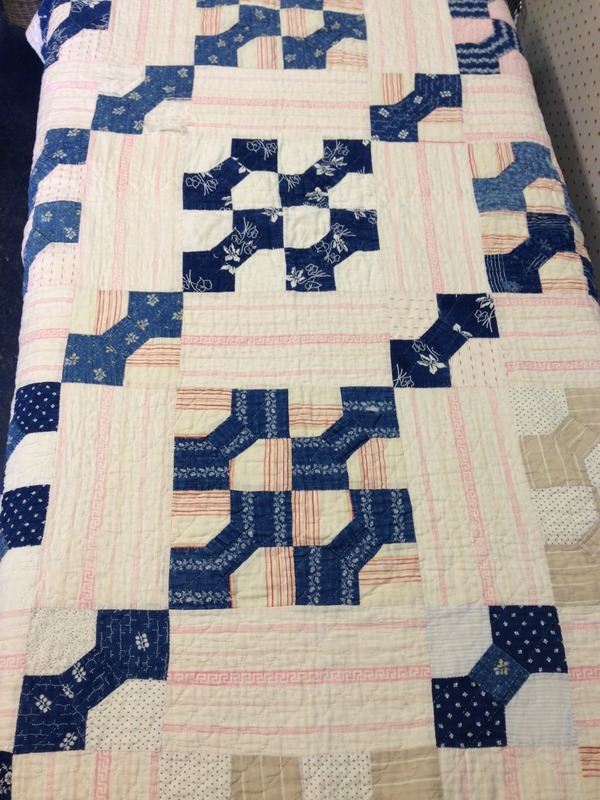 The second quilt that caught my eye was this indigo bow tie quilt because of the pink striped fabrics and the bow tie blocks used for cornerstones.